→Aerobic Exercises To Do At Home – Which Are Best? 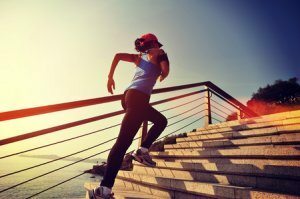 You may also be interested in how to start a home exercise program with walking, jogging or running and how to gauge the intensity level of your training. 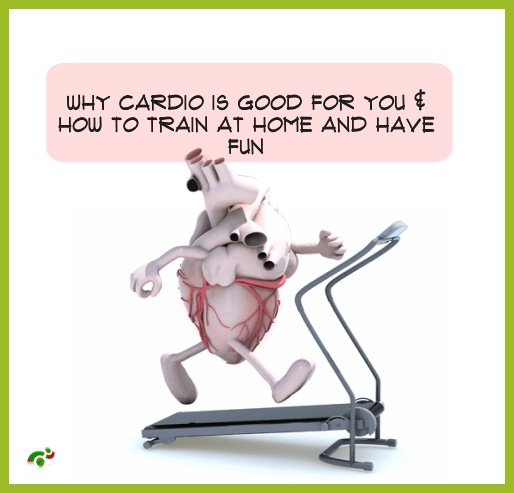 Let’s begin to explore the world of aerobic or cardio exercises in looking at a number of questions you might have. You find a list of issues in the table below, just jump to the most pressing question or read the entire article. 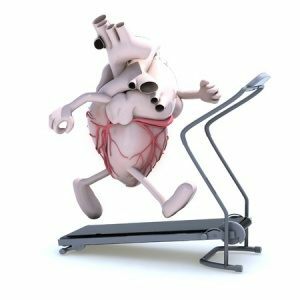 2 Why are aerobic exercises good for the heart? 3 Are aerobic exercises good for weight loss? 4 Does muscle burn calories during exercise? 6 What types of aerobic exercises are the best? 9 What kind of aerobic exercise can I do at home? 10 How to start aerobic exercises? 11 Which exercises burn the most calories? Usually, when I am exercising aerobically, I am training at a moderate intensity level over time using oxygen to meet the energy demand of my body efficiently. In other words, when I am running on my treadmill for 20 minutes at a moderate pace, my heart rate is up, I am breathing faster, and I sweat a bit; all this tells me that my heart and my lungs are working harder to move blood and oxygen to the muscles. Physical activities, such as jogging, running, swimming, cycling, walking, skipping and dancing – if you perform them at light to moderate intensity levels, are well supported for extended periods of time by aerobic metabolism. Long-term effects of aerobic exercises with increase in stroke volume, oxygen consumption and reduction in heart rate. Long-term adaptation to anaerobic exercise with increase in muscular cross-sectional area and neural drive leading to increase in muscle strength. On the contrary, anaerobic exercises such as sprinting and resistance or strength training differ in the way energy is generated in your muscles. 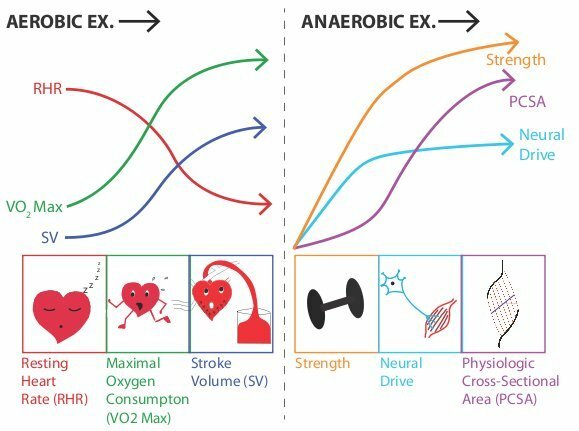 Any high-intensity exercise carried out above 90% of the maximum heart rate becomes anaerobic in nature at that point, meaning that the muscle switches to an energy expenditure which produces lactate. Why are aerobic exercises good for the heart? Regular aerobic exercise benefits your heart in that it increases its pumping efficiency by reducing your resting heart rate and reducing the blood pressure by improving the circulation efficiency. Working muscle requires substrate such as carbohydrate and oxygen; therefore, the blood flow increases above resting conditions. Your heart responds with a higher cardiac output by raising the stroke volume, which is the volume of blood delivered in one heartbeat. Training makes the heart more efficient, and so it is not surprising to find that in trained endurance athletes the contraction of the heart muscle is much stronger, meaning that the blood volume delivered in one beat is higher. Their maximal heart rate is, in fact, lower, which shows the training effect. Another effect of exercise is that the peripheral blood vessels relax to accommodate more blood volume, and local metabolic factors help with the unloading of oxygen from the blood into muscle; this helps to keep the blood pressure level. 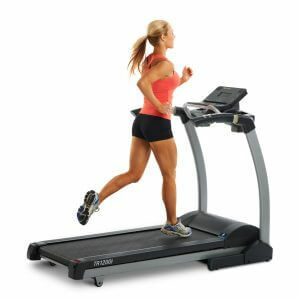 In other words, aerobic exercises allow the heart, lungs, and the muscles to be strengthened and therefore conditioned. 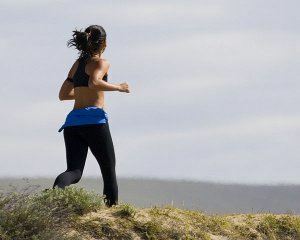 Aerobic conditioning, which you achieve by running, for instance, leads to an increase in oxygen uptake and metabolism. 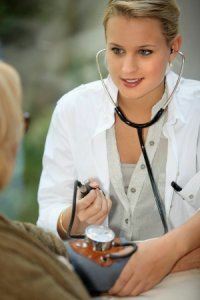 You can achieve such conditioning of heart, lungs and muscle by walking or running on a treadmill, swimming or cycling. To keep your level of fitness you need to train regularly, ideally, you should exercise daily. Are aerobic exercises good for weight loss? Exercise can do a lot for you; it can help lower your risk for heart disease and cancer, help with managing your sugar levels, reduce the risk and complication of diabetes, help with depression and slow the aging process. However, to think that exercise alone will help you to lose weight is most likely a misconception. Exercise alone will not suffice! Why? Because it’s simply a matter of energy balance. What matters is what you eat and how often and whether you move your body around, or you are sitting down most of the time. Our body’s response to exercise will depend on our fitness level and the intensity, duration and frequency of the exercise. So, during exercise, we have increased demands for oxygen and fuel in the muscle, and there are increased requirements for removal of by-products of the metabolism, which is why we breathe faster, our heart rate increases and we get hot. Does muscle burn calories during exercise? The energy requirements of skeletal muscle depend on the degree of activity. At rest and mild exercise, the muscle predominantly metabolizes fatty acids. During vigorous exercise, the muscle will switch to metabolize glucose from blood and glycogen from muscle. At the begin of muscular contraction Phosphocreatine, which is supplied locally in the muscle, fuels the metabolism. It is rapidly depleted within 10 seconds of high-intensity work. To continue with exercise, the body re-synthesises energy from fuel sources, such as glycogen and glucose and fat in the presence of oxygen. If no oxygen is available, for instance during strenuous exercise, lactic acid is produced which may cause fatigue. 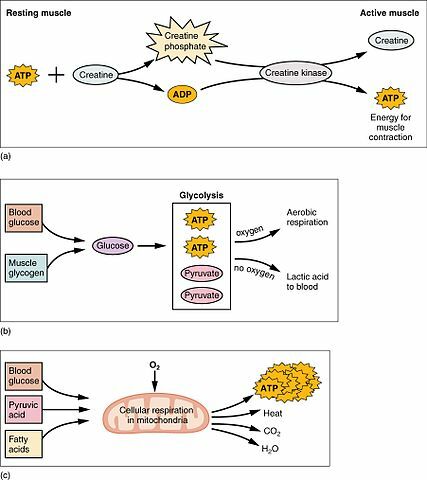 Aerobic respiration provides the resting or moderately active muscle with 95% of its energy requirements. 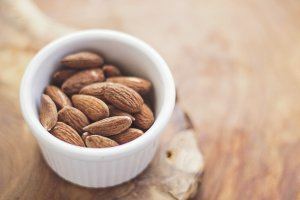 The muscle receives glucose, pyruvic acid and fatty acids from the bloodstream. During a low to moderate intensity workout, fat metabolism contributes most of the energy you need to fuel your activity. If you increase your workout to a high-intensity level, the fat metabolism is reduced. How does fat get burned when we are exercising? Fat is a much denser energy source than glycogen and the body has vast amounts of it – in a healthy human these fat stores would allow sprinting for longer than an hour. The problem is that energy production from fat is a slow process– too slow to be of great importance for high-intensity activity. Although fat is the body’s preferred fuel, glycogen is used, particularly at the beginning of the activity. When we continue to exercise, fat becomes more important, especially if glycogen becomes depleted. In case you wondered, protein does not normally provide fuel during your workout unless you starve or you are doing ultra-endurance training. Most protein is structural protein, like the contractile protein in muscle. What types of aerobic exercises are the best? Anything that makes you move and you enjoy doing. There is no best exercise for everybody; it’s really a personal decision. As long as you choose exercises which use large muscle groups repetitively over a duration of time, you are doing fine. Look for the activity which feels right for you and modify the exercises if you have any problems with your joints or other health issues. You also want to combine your aerobic activity with resistance and flexibility exercises such as Pilates, yoga, and weights training. Doing that adds variability, prevents boredom and gives muscle groups time to recover between workouts. Depending on your stamina start with a daily plan of a one-minute workout and continue to practice till you reach five minutes, 10 minutes, 15 minutes and so on. Slowly work your way up to 30 minutes and then to one hour. If you want to become healthy, lose weight and feel fab, you will have to move your body throughout the day. It may take you several weeks to achieve your goal of working out for 30 minutes to an hour daily; stick with it and you will soon find that your fitness and enjoyment increases greatly. Think of exercising as something you do naturally without questioning it- like doing your laces or brushing your teeth. What kind of aerobic exercise can I do at home? You have many options: dancing to music, hula hoop, skipping, skating or using your trampoline. Make sure your exercises are in tune with your body, your muscles, your endurance levels and your frame. If you have a treadmill, an exercise bike, elliptical or a rowing machine, you are set to get in shape without having to worry about the weather. 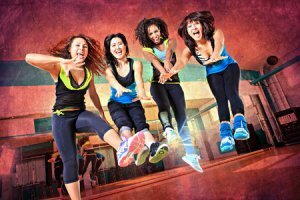 If you prefer dancing, skating, skipping or trampolining –great! Do whatever you feel is right for you and keep doing it and mix and match with any of the above activities. Try and be an “Every Day Athlete”. 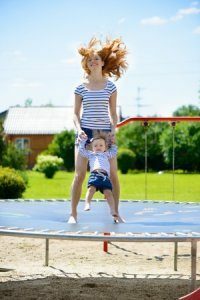 Take the stairs whenever you have the opportunity, walk or jog to places when you have the choice skip a rope outside, bounce on your trampoline, or get a hula hoop and learn to use it. Once you have started with this habit, you will not want to stop it. How to start aerobic exercises? 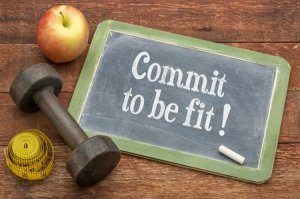 Firstly, before you leap into your exercise regimen you want to consider your current age when you’ve last exercised, whether you are overweight, you are pregnant or if you have any health conditions or concerns. If you are over 50, have not exercised in years, are heavily overweight and have health problems, go and see your doctor first. Use common sense, listen to your body and see how you feel and adjust any workout plan accordingly. There are days when you feel you can do less and on other days you do more. For instance, if you haven’t slept well or you feel unwell, you should postpone your training plans. Secondly, make some commitments. Promise yourself to do some of your preferred exercises every day. Do your workout before a meal. To ward off excuses about the weather, use your home treadmill, bike or elliptical. If you are severely overweight, consider swimming first as the weight is taken off your joints. Swimming will help you to lose a certain amount before you can start walking, jogging or running. Thirdly, find activities that you like doing and depending on your stamina and weight, start with baby steps. Variation is important, and you want to adapt your workout plan to your abilities, your frame, and your endurance levels. Although you should not come out of an exercise as fresh as a daisy, a “No pain, no gain” strategy is not a good idea either. In other words, if you have not exercised for 20 years, please do not leap straight in and attempt to run for miles as this will not help you to lose weight or increase your fitness levels. Depending on which source you consult, you get different quotes of wide-ranging calorie expenditures. For instance, full body workouts like rowing, stair climbing and running score the highest. Choosing these exercises, you have the potential of burning between 600-1400 calories per hour. The calories you burn will depend on your level of exertion and whether you are engaging large muscle groups. More importantly, the question is, will you wipe out you potential calorie deficit with a low-fat mocha latte, a low-fat muffin or a burger and a beer when you are done? You should not see exercise as a punishment for how much you ate; it should rather be something your body loves doing on a regular basis. If you want to lose weight and keep it off, you might need to look at a different strategy to achieve your goal. 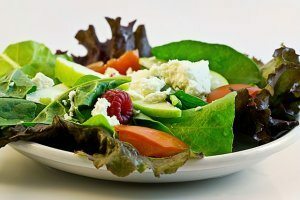 First, re-organize your diet and avoid such carbohydrates that drive your fat storage hormone insulin through the roof. 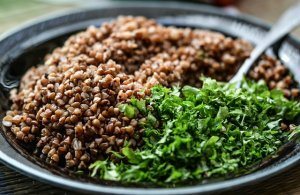 Choose different kinds of carbs that release energy slowly into the bloodstream, like pulses do. And of course, eat less of everything. You want to eat after you’ve exercised to burn all these calories better. Perhaps you could consider keeping a food diary for a while. Second, use a smart workout plan such as interval training. Consider using a tracker device to keep an eye on your heart rate. 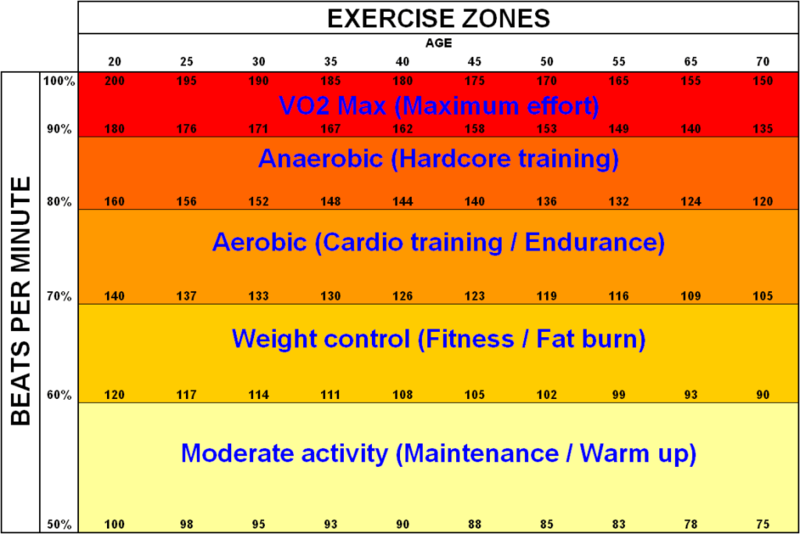 You want to stay in the low to moderate intensity workout zone. When you are exercising you should be slightly out of breath; if you find you are out of breath within minutes, please stop. You are definitely overdoing it. Start with baby steps and increase the duration of your workout slowly so that you feel comfortable. Try and challenge yourself intermittently. 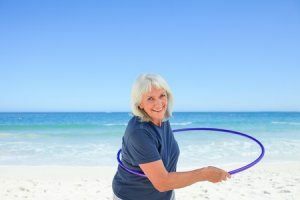 Third, consider your daily exercise routine as being part of your healthy aging strategy. Stay motivated by finding a fitness partner. 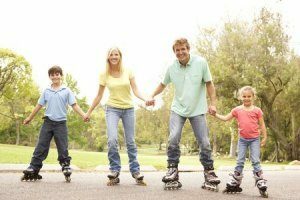 Play tennis with your friend or go rollerblading with the whole family– your kids will love that. If exercise is going to become a lifestyle practice for you, try and schedule your sessions in your weekly planner. You want to dress the part in comfortable fitness clothes. And do not forget to listen to your favorite music or books while you are working out. The body supports aerobic exercises with energy by metabolizing carbohydrates (glycogen) or fat reserves or a combination of the two. That, however, will depend on the intensity of the exercise. A maximal contribution of fat metabolism during such exercises takes place when we exercise only very moderately for a period of time. 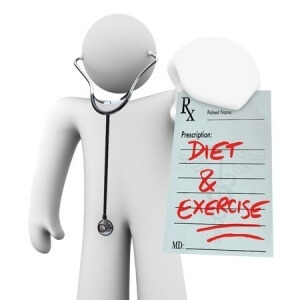 If your goal to lose weight is with exercise, you will not be able to achieve your aim without changing your diet. There are plenty of aerobic exercises, which include activities such as jogging, walking, running, rowing, dancing, kickboxing, trampolining, and more. Aerobic exercises have numerous benefits, such as the strengthening of the heart and cardiovascular system, reducing the resting heart rate and making the pump function of the heart more efficient and reducing blood pressure. Exercising improves mental health, reduces stress levels and lowers the risk of depression. Diabetics can control their blood sugar better when they are active. Impact exercises such as jogging or skipping a rope will induce bone growth and reduce the risk of osteoporosis. In summary, aerobic exercise done in a smart way will add value to your personal healthy aging program. If you liked my article or if you have any questions, please get in touch by using the box below.